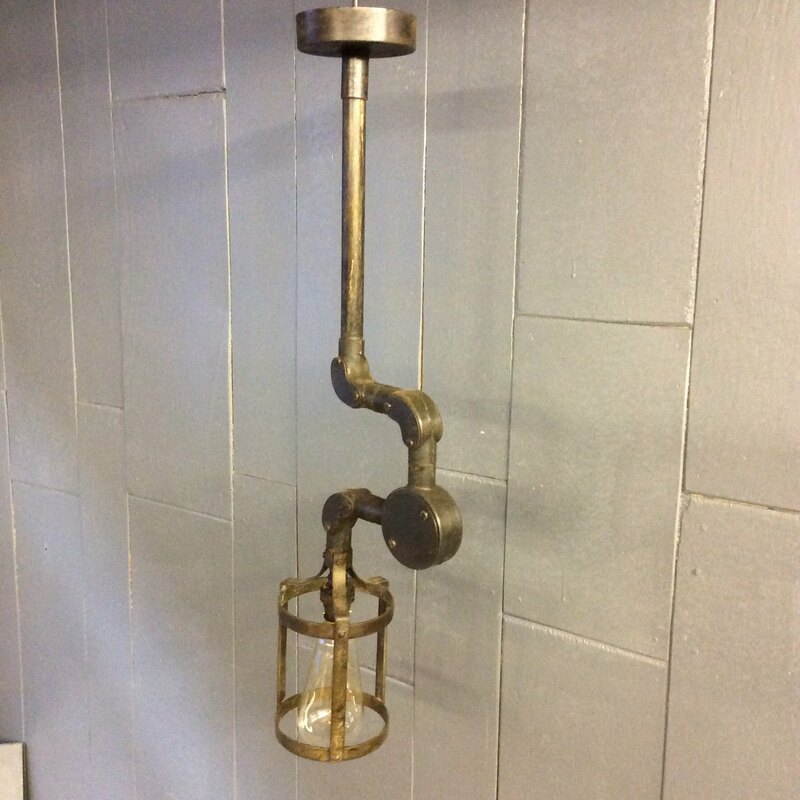 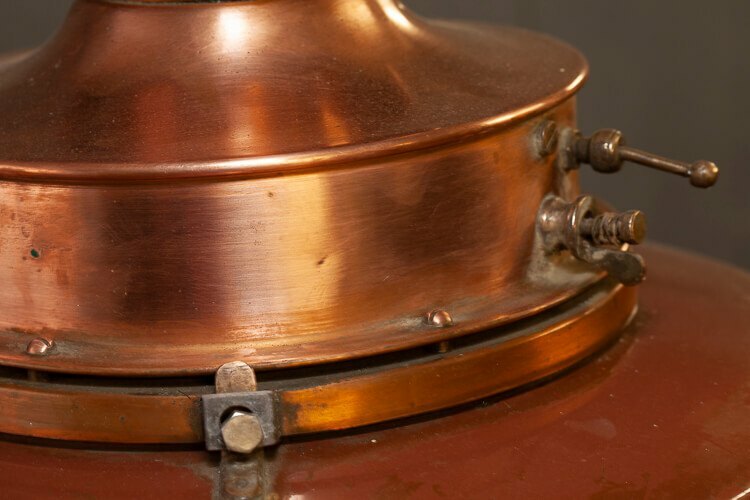 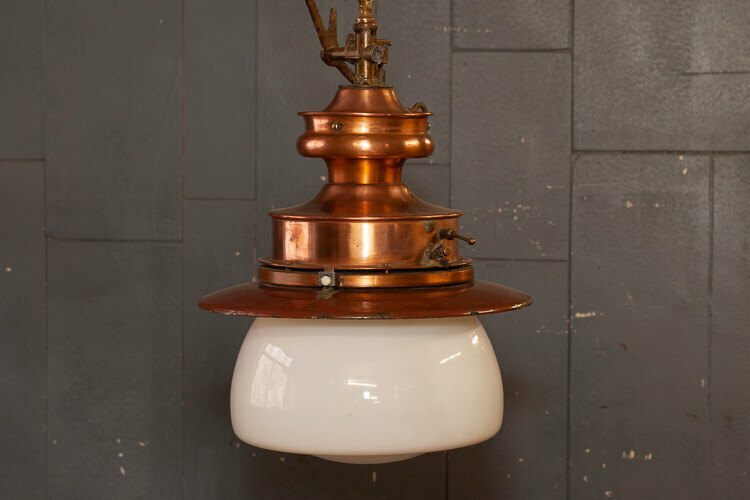 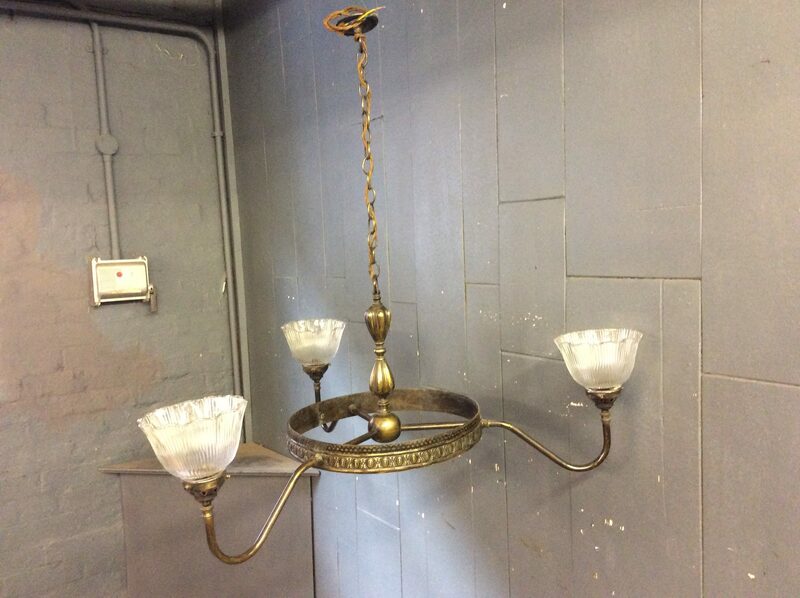 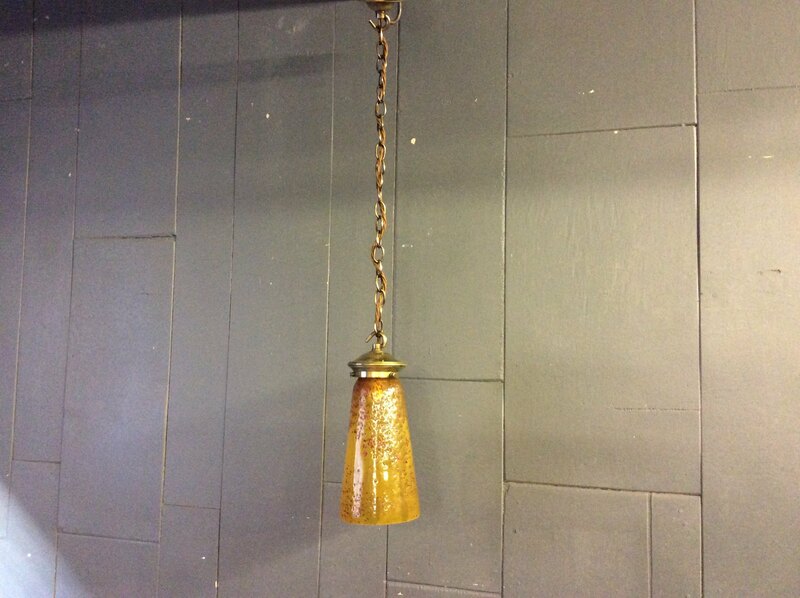 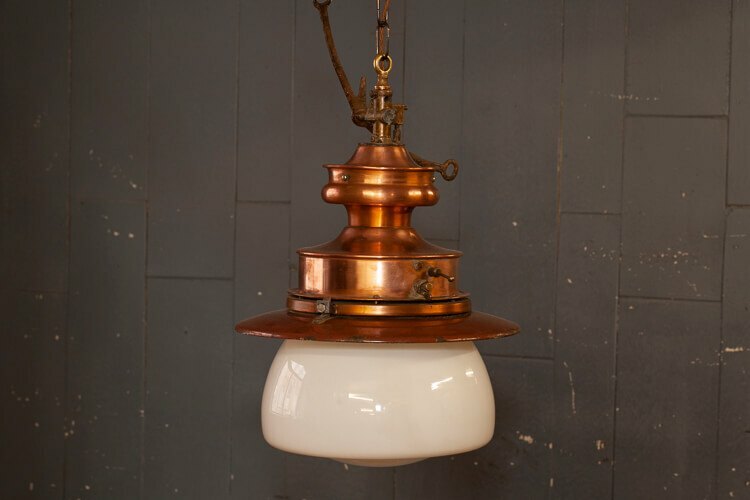 A large, copper industrial hanging light with a wide glass shade. It has been converted from an old railway station’s gas light and has been restored and turned into modern lighting while keeping its visible history intact. 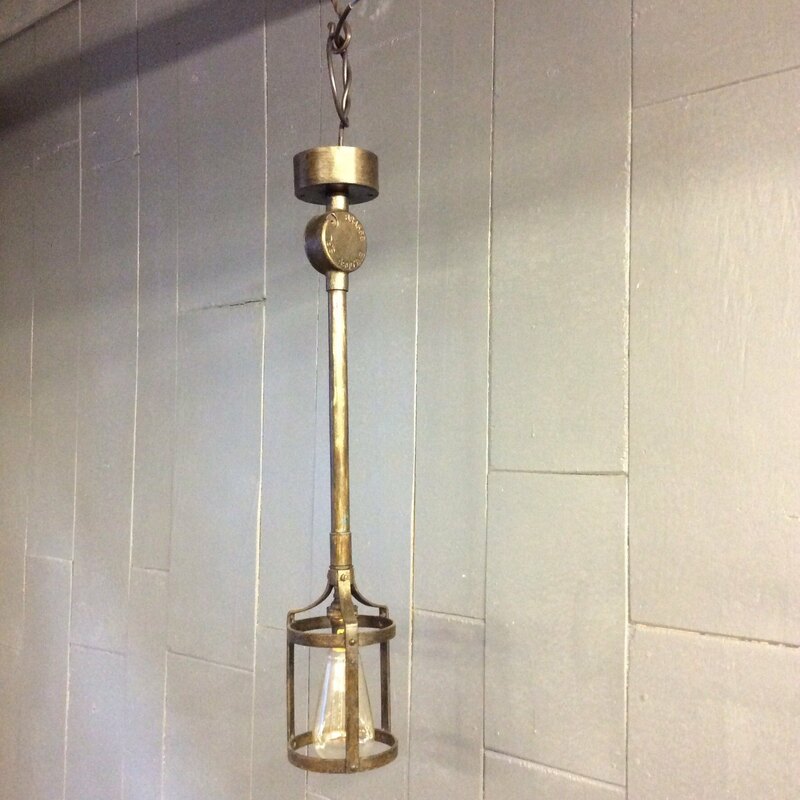 It measures 40cm at its widest point.